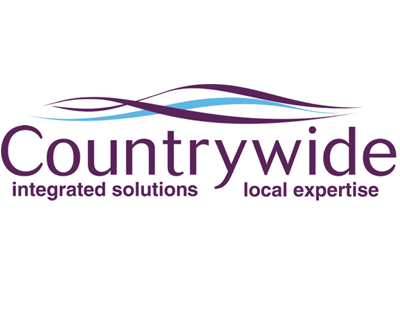 Countrywide has given Estate Agent Today exclusive details of progress on its Back To Basics programme as it seeks to recover market share and industry status. Back To Basics was the name of Countrywide’s Strategy and Turnaround plan announced in March ahead of a round of fundraising. The strategy was based on abandoning online experiments, separating sales and lettings (which had been combined in 2015 under ousted chief executive Alison Platt) and focussing more resources at branch level. Paul Creffield, Countrywide’s Group Managing Director, has told EAT that there are now 90 regional directors in place - each dedicated to either sales or lettings, but not both. This represents one regional director for roughly every 12 branches. Some 200 former Countrywide agency staff have rejoined since March; the group suffered many high profile departures under Alison Platt’s stewardship and it was a personal objective of Creffield to attract some of those to return. Staffing is “roughly where we want it to be” with 5,500 people working in the group. Staff levels at the 850 local branches are now almost at optimum level, says Creffield - equivalent to about 5.5 people per branch. This follows the recruitment of “hundreds and hundreds” of agents during 2018. Some five branches are currently under review in the next six months, but if any decision is taking to close these, it will be for market-led reasons or connected with leases ending, not as part of an employment strategy; staff will be relocated elsewhere. In addition, Countrywide has recently opened a new branch and anticipates other openings in 2019. Creffield has remained tight-lipped on market share, insisting this cannot be hinted at until a formal trading statement to shareholders in a month’s time, but he says that realistically local branches should aim for a market share of 15 per cent or more. “We’re on a journey. This is a big company and we can’t achieve everything at once, especially in what is a difficult market. We’ve made a strong start on staffing and branch resources, so we’re looking at market share and a pipeline being built up in the next 12 to 18 months” he says. Creffield - a former operational managing director at Rightmove - revealed that Countrywide buys substantial data from Rightmove to present to shareholders and potential investors. This recently indicated that around six per cent of Countrywide’s stock did not appear online; most of this was with its high-status brands John D Wood and Hamptons International, which have high net worth vendors who want limited publicity for sales. Creffield, who has been with Countrywide since 2006, has also given Estate Agent Today his first public comments about the shareholder revolt and adverse publicity surrounding the company’s senior management incentive plan, which was abandoned back in August. This plan centred on some £20m which - according to a leak to Sky News - would have been paid to Creffield, executive chairman Peter Long, chief financial officer Himanshu Raja and possibly some eight other senior executives. “I didn’t feel great. It was a difficult time” admits Creffield, who says that he was telephoned by some Countrywide staff who had known him for much of his time at the group, and who made it clear that they felt the incentive was inappropriate at a difficult time for the company. “The scheme had been suggested independently by external advisers who specialise in remuneration. There were some comments from investors who were mixed in their response - people felt senior management had to be rewarded because they had to deliver the turnaround, but some investors felt it was inappropriate. Perhaps we came to it late in the day but we made the right decision to withdraw the proposal” says Creffield. Countrywide’s share price now remains stubbornly around the 11p mark, having lost around 10 per cent in the past month, over 90 per cent in the past year and around 98 per cent since 2013. Hence the high staff turnover and the dumbing down of agency which is a real shame. Even though Countrywide are competitors of mine i hope they pull through and make it work. Back to basics is absolutely right. This game is so simple, give great service and get the punters through the front door. Easy.